Berlin – State Secretary Rainer Baake handed over the subsidy to the representative of the WindNODE initiative in Berlin on 06.12.2016. After two years of preparation, the North-eastern German model region for smart energy has now officially been launched. Around 50 joint ventures will work together for a total of four years to integrate large quantities of renewable energy into electricity grids as efficiently as possible. WindNODE comprises all six East German states including Berlin, and is under the patronage of the six heads of government. The region is already a nation-wide pioneer in renewable energies – about half of the electricity is already generated from wind, sunlight and other renewable sources there. In addition to the system operator 50Hertz, companies Siemens and Stromnetz Berlin as well as economic promoters Berlin Partner, Energy Saxony and ZukunftsAgentur Brandenburg are taking care of the strategic steering of WindNODE. Apart from energy suppliers, system operators and high-tech specialists, the consortium includes companies in the automotive, supply and disposal, housing and retail industries, as well as several universities and research institutes from the region. The three company representatives from the Steering Group, Dr. Dirk Biermann (50Hertz Transmission GmbH), Dr. Frank Büchner (Siemens AG) and Dr. Erik Landeck (Stromnetz Berlin GmbH) emphasize the importance of the joint project: “Nobody can steer the energy revolution to success alone. WindNODE provides an excellent platform to develop and test new, smart solutions for the energy system of the future together with a large number of participating partners.” WindNODE will be setting up the project launch on January 26, 2017 with a consortium meeting in Berlin. 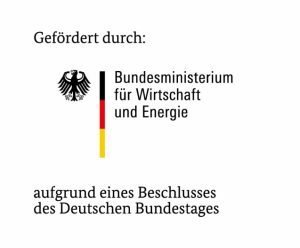 System operator WindNODE is part of the “Smart Energy Showcases – Digital Agenda for the Energy Transition” (SINTEG) program of the Federal Ministry of Economic Affairs and Energy. The aim is to develop and demonstrate scalable model solutions for large scale “model regions” for environmentally friendly, safe and affordable energy supply at high proportions of renewable energies. The focus is on the smart networking of production and consumption, as well as the use of innovative grid technologies and operating concepts. The solutions found are to serve as a model for broad implementation. The Federal Ministry of Economic Affairs is supporting the five model regions with a total of over 200 million euros. Together with the company’s additional investments, over 500 million euros will be invested in the digitalization of the energy sector. SINTEG is thus an important contribution to the digitalization of power stations. More than 200 companies and other stakeholders from the sciences, for example, are involved in the SINTEG model regions. For a period of four years, Pumacy Technologies AG will implement various applications for generation, networks, consumption and storage using so-called “search-based applications”. The particularly high proportion of fluctuating electricity generation from wind and solar energy in the northeast region will present a very special challenge, since it makes the prospective view considerably more complex. The company will begin with the first work on the project immediately.